New England is an area marked by its residents' distinct accents, a long shoreline, and world-class seafood. New England is made up of 6 of the original 13 colonies — Connecticut, Maine, Massachusetts, New Hampshire, Rhode Island and Vermont. Each one features beautiful beaches along the Atlantic Ocean, except land-locked Vermont, which is better known for its mountains. The Commonwealth of Massachusetts features large cities on its eastern seaboard and open country in its western regions. Here in the west lie the scenic Berkshires, a branch of the Appalachian Mountains. They feature numerous hiking trails, including part of the Appalachian Trail. Explore the mountains and discover Bash Bish Falls (the tallest waterfalls in the state). Along the seacoast is the ever popular Cape Cod. 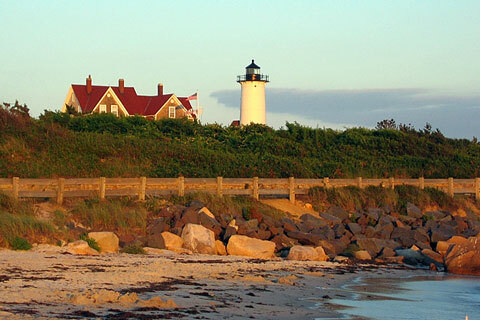 The Cape is lined with sandy beaches, and the area is known for its quaint B&Bs. Visitors will enjoy the restaurants and museums that dot the area. Many decide to take a day excursion to nearby Nantucket or Martha's Vineyard. Also along the shore is the capital city, Boston. Boston is home to charming cobblestone streets, Fenway Park, Boston Harbor, the New England Aquarium, and historic sites aplenty. Many of the buildings in this bustling city date from centuries past. Tourists can see the site of the Battle of Bunker Hill, walk the trail Paul Revere rode along to warn of the coming British soldiers, or see the site of the Boston Tea Party. Connecticut is small, but its residents know how to create an experience. Stop by Mystic Seaport, a maritime museum located along the banks of Mystic River. Visitors will be impressed with the collection of ships and boats. The area is a recreation of a 19th century seaport, complete with buildings and actors that demonstrate what everyday life was like along the seashore centuries ago. Many people know Maine solely for its lobsters, but there is much more to the state. 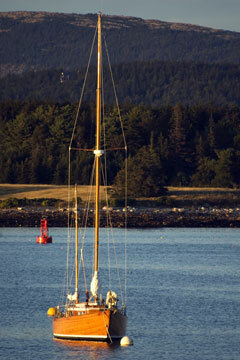 Maine is also known for Acadia National Park. Acadia is a tranquil park, complete with views of Cadillac Mountain (the tallest mountain along the east coast), Bass Harbor Head Lighthouse, and gorgeous forests. Hiking trails lead throughout the park, and there are places to camp as well. Near Acadia is Bar Harbor, a seaside town featuring museums, blue waters, and the opportunity to whale watch. Vermont's Green Mountains give visitors a chance to hike, ski, camp, or watch wildlife. Those that love the outdoors will love Vermont's crisp air and abundance of outdoor activities. Stop and take a break at the Trapp Family Lodge, which inspired the musical, "the Sound of Music." Visitors love to relax in New Hampshire's White Mountains, where they are greeted with spectacular views of blue skies and waterfalls. Visit New Hampshire in the Autumn, and watch the breathtaking views of leaves changing color to brilliant reds, oranges, and yellows. 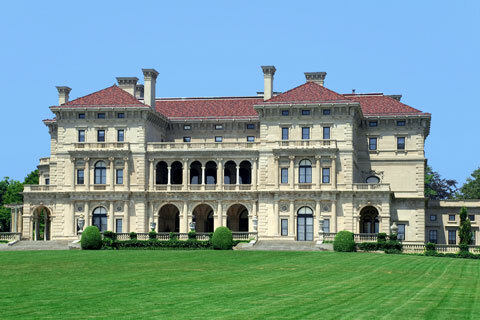 Rhode Island may be the smallest state, but it makes up for its small stature with opulence. The city of Newport, located on a quaint island just off the coast of the Rhode Island mainland, is known for its large mansions and miles of scenic coastline. The area is perfect for sailing excursions, relaxing on the beach, tasting wine, or exploring one of the wonderful homes built by some of the richest families in America. See how the sheer size of the rooms dwarfs the beds in the Breakers. Or see mosaic floors and gold trimmed ceilings at Belcourt Castle, Astors' Beechwood Mansion, or Chateau-sur-Mer. Several of the beautiful homes are open for tours.